San Jose's District 3 is allocating funds for local projects in the most democratic way possible. Residents and visitors can vote on projects that they feel would have the strongest impact to the community. A total of $100,000 is available for investment and the projects range in cost from $600 all the way to $60,000. Potential projects include interactive artwork, improved lighting, lending libraries, solar mobile-phone charging kiosks. Voting is open until April 15th at 5pm. 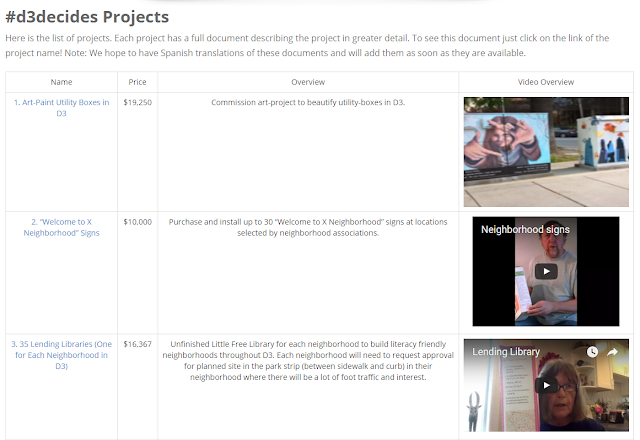 To make sure your voice is heard and to learn about each proposal, head over here.